Sure, Monday’s brief spike into warmer weather only lasted a day, but Industry City has dropped another much-needed reminder that good climes and good times are right on the horizon. 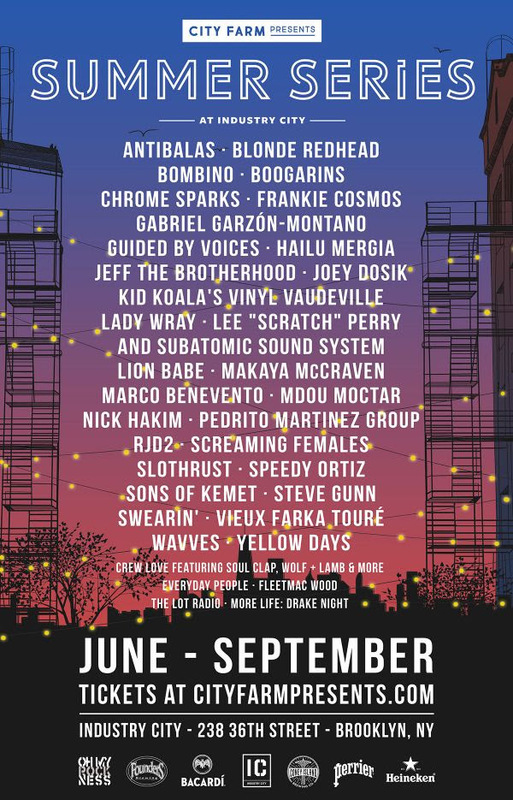 The Sunset Park work-play complex just announced the lineup for its summer series of concerts and parties, and this year is going to be a doozy thanks to Antibalas, Blonde Redhead, Guided by Voices, Frankie Cosmos, Lee “Scratch” Perry, and more. The DJ lineup is just as impressive as the schedule of live shows, what with some of our favorite selectors—including Soul Clap, Wolf + Lamb, and Greenpoint’s own The Lot Radio—in the mix. As you’ll recall, the events take place in Industry City’s courtyards and are programmed by the good folks over at Union Hall and The Bell House. This year, they’ll kick things off on June 5 with Lion Babe, an on-the-rise local funk-soul duo with a new album out. 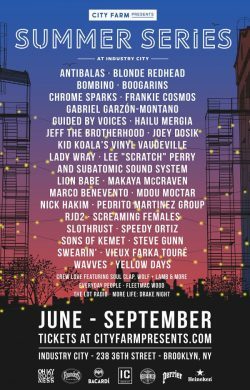 From there, highlights include North Brooklyn noise-rock fixtures Blonde Redhead; local grunge revival act Slothrust; Death by Audio vets Speedy Ortiz and JEFF the Brotherhood; turntable wiz Kid Koala; dub, reggae, and hip-hop pioneer Lee “Scratch” Perry; Afrobeat outfit Antibalas; and antifolk-inspired singer-songwriter Frankie Cosmos. Also on deck: indie-rock legends Guided by Voices, whose latest 24-track album, Warp and Woof, is out April 26. Check out the full schedule below. Tickets go on sale this Friday.